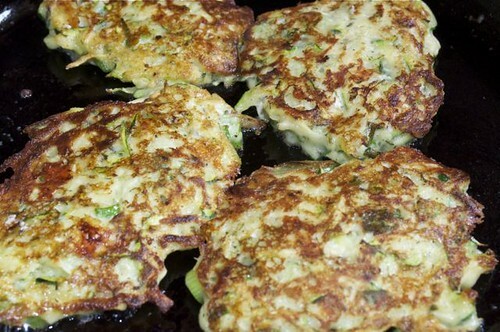 Fabulous fritters! Once I wrapped my head around the fact that virtually any vegetable can be broken down, tossed with egg and flour, hit with flavourings, give or take a little cheese, spooned into a hot pan to crisp up – I was in fritter fairyland, wearin’ the vegetarian, gone gaga for greens, head over heels for the little honeys! 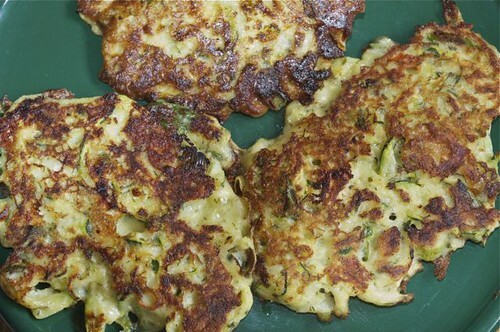 Thankfully, fritters have come out of the deep-fryer and onto the stovetop – so even when a recipe calls for vats of oil, ignore that – la, la, la, la, la, la, la, la, I can’t hear you! 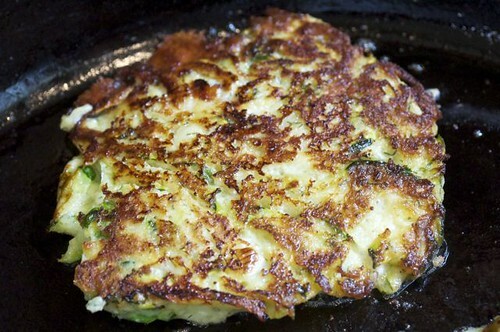 Simply heat up a heavy skillet or 2, swirl in enough oil to coat the pan and drop the batter in by the spoonful, spread it out a little, leave until the edges brown, flip and finish for another 4 minutes – you’ll be making fritters ’til the cows come home – and the cows will be comin’ home, ’cause cow ain’t what’s on the menu! 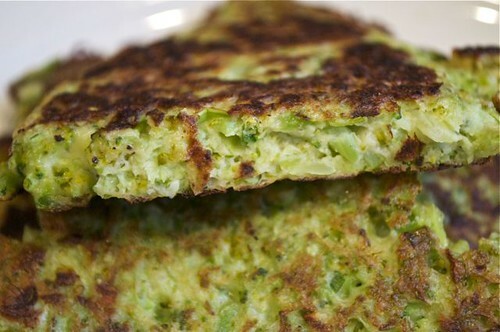 The most important thing to remember is – please, please, pleeeease don’t let a fritter recipe take you down, meaning the only thing that must make it into a vegetable fritter is the vegetable, flour, egg, s&p – any special flavourings, cheeses or other additions are merely extras and should not stop you from frying up a fritter! 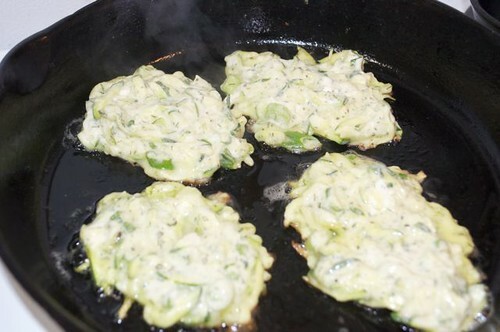 Like – “oh no, I don’t have capers, sorry, can’t make that!” I will be featuring various fritters in the days and weeks to come but hear me, and hear me now – if you’ve got vegetables, you’ve got fritters! Oh happy day! 3. 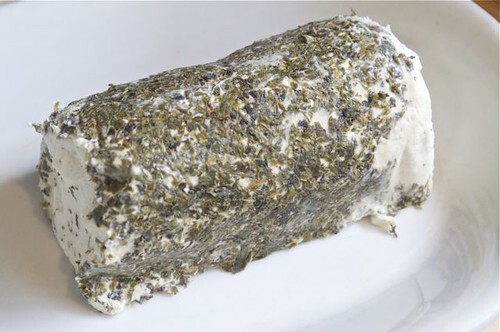 Gaze upon your goat cheese – this is herb, but plain will work just fine. 4. 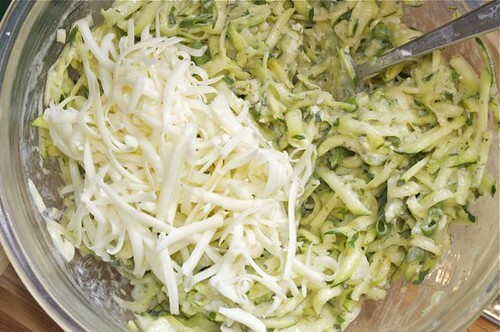 Then crumble it up. 5. 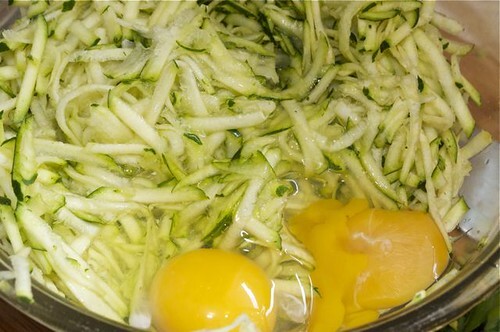 Add the eggs to the grated zucchini and give it a stir. 6. 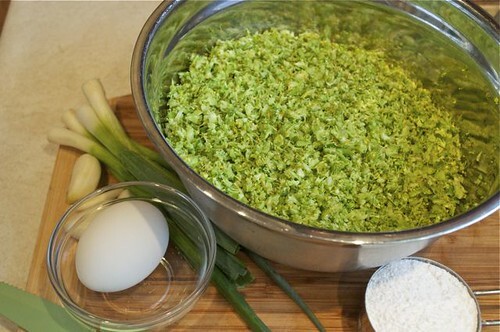 Add the flour, dill, salt & pepper and mix again. 7. 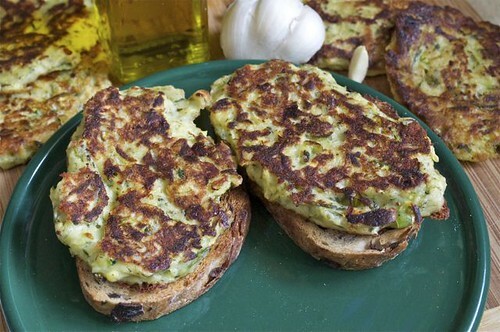 Scallions & goat cheese are next – the goat cheese will make your fritters creamy dreamy – perfect atop a slice of toasted olive bread – you’ll see! 8. 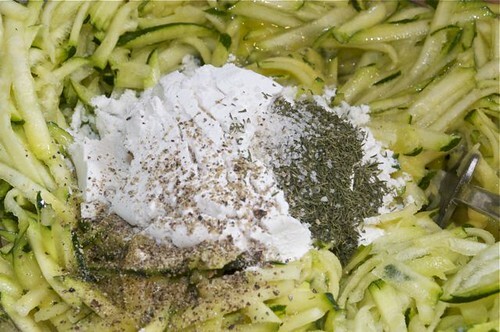 Using the back of a fork, smear the goat cheese into the zucchini to thoroughly incorporate. See? 9. 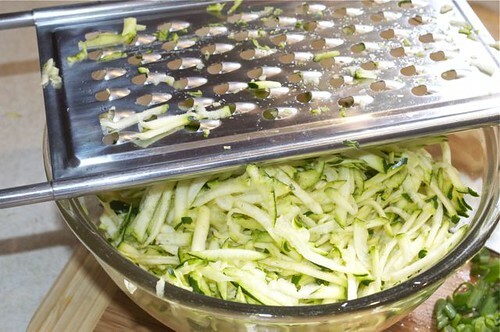 Grate a little cheese, if you want – and I want! Completely optional. 10. 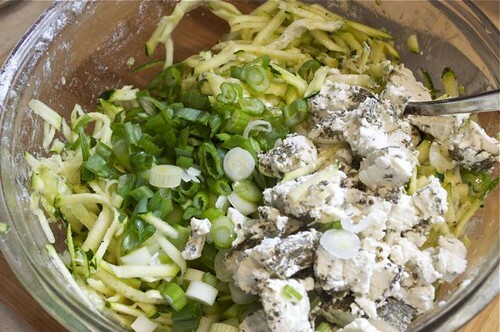 Stir it into the zucchini mixture. 11. Drop by the spoonful into a hot oiled pan. 13. 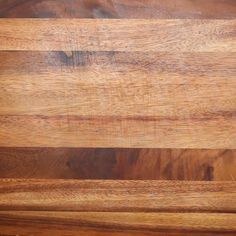 After about 4 minutes the edges will begin to brown which is your signal to flip. 14. 1, 2, 3 – flip! 17. Keep making batches until you’re out of batter. 18. 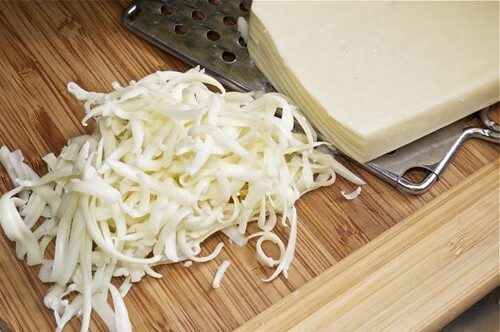 One flip is all it takes – don’t be messin’ with them. 19. 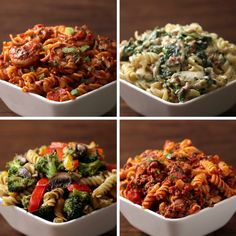 Move them to a plate and get ready to serve ’em up in style. 20. 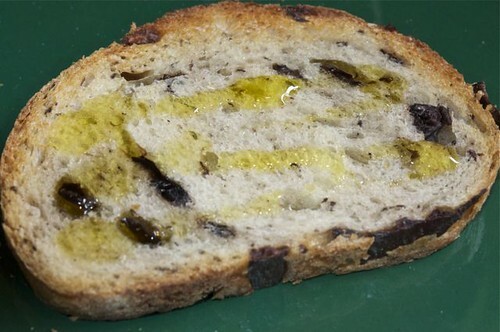 I happen to have olive bread which I toasted and rubbed with a little garlic – any rustic bread would be delish. 21. 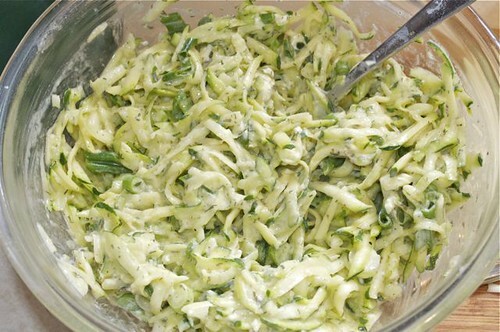 Give it a little drizzle of olive oil. 22. 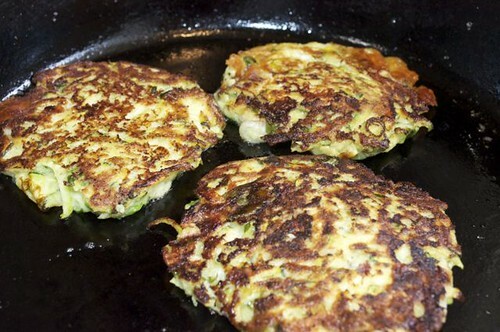 And lay on a fritter. 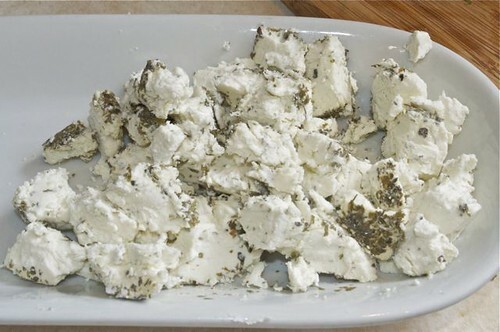 This is especially nice with fritters made with goat cheese as it melts into a creamy consistency which works perfectly on a slice of toasted bread. 23. I’m ready for my close-up! 24. Guess what? 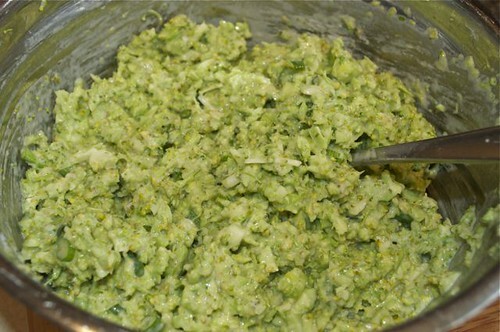 I put a whack of broccoli in the food processor and pulsed it to perfection. 25. 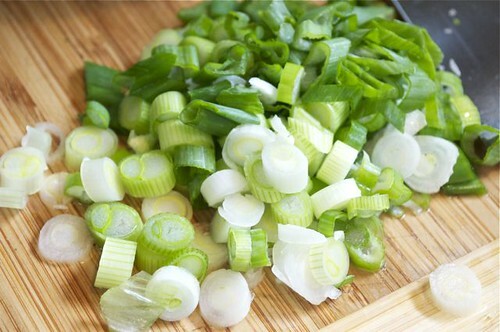 Added the usual suspects – egg, flour, sliced scallions & garlic. 26. 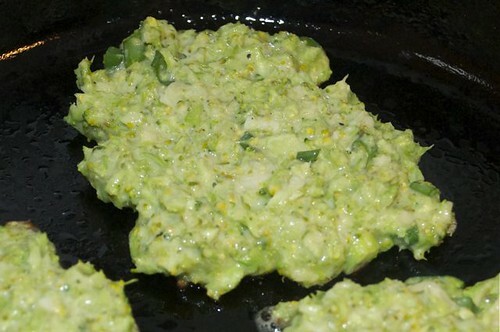 Spooned it into my hot pan for a mess of broccoli fritters. 27. 4 minutes later – flip! 28. And onto a plate before they disappear. Make as much as you like – just start multiplying. 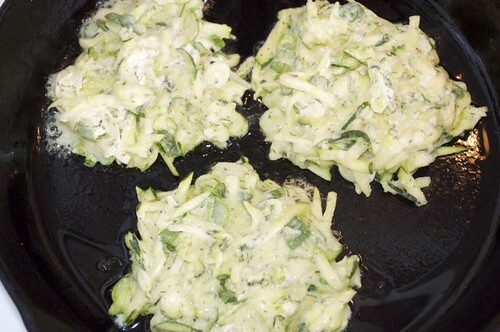 Heat a heavy skillet or 2 over medium-high heat. 4. 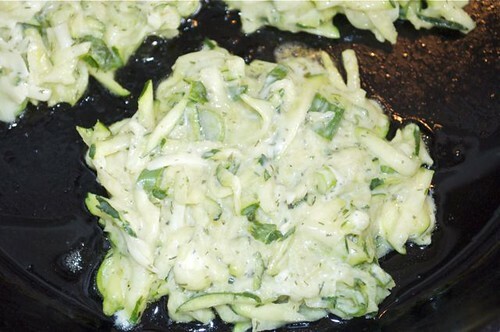 Swirl vegetable, peanut or olive oil in your pre-heated skillet and drop by the spoonful into the hot pan. 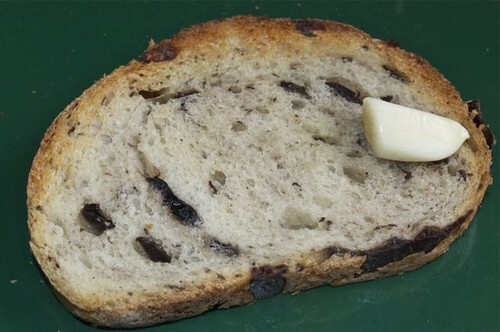 Flatten slightly with the back of the spoon and leave until the edges brown. 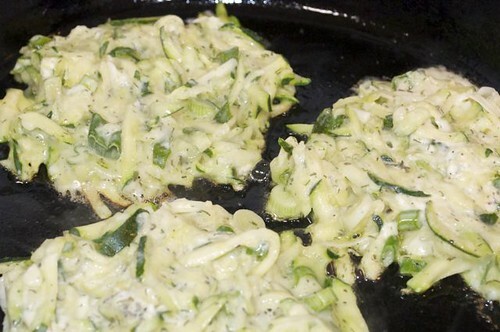 Flip and fry for another 3-4 minutes. 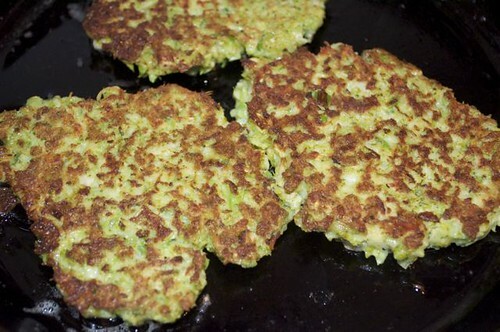 Move them onto a plate as you continue making fritters. Keep warm in the oven if you like but they are just as delicious at room temperature. FYI If at anytime, the batter becomes too loose, just add a little flour to tighten it up. 5. 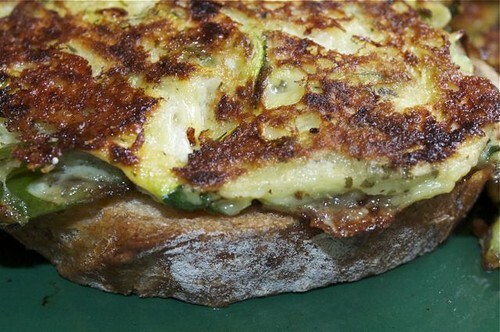 To serve, toast a few slices of rustic bread, give each piece a brief rub with a garlic clove, drizzle with olive oil and lay the zucchini fritter on top. Repeat. 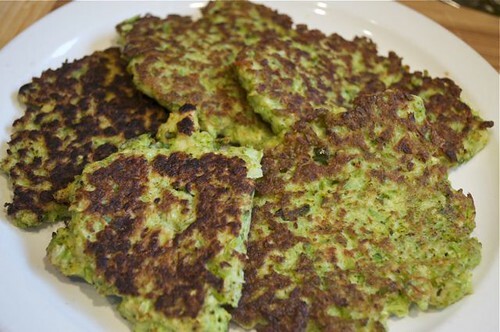 I’ve attempted a version of these before but they did not turn out as great as yours!